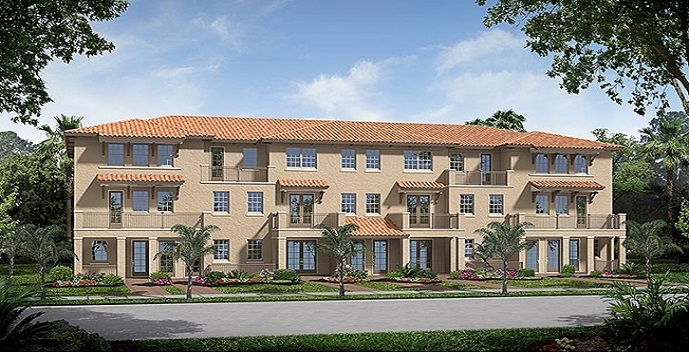 Cobblestone Carriages by Standard Pacific Homes is a new community located off of Pines Boulevard in Pembroke Pines, close to the Pembroke Lakes Mall, restaurants, nightlife, entertainment, golf courses, country clubs, and highways. This wonderful gated community offers one story homes nestled below spacious two story homes. There are 5 home designs to choose from that vary in size, style and price. The Ashwood - 1 story, 2 bedrooms, 2 baths, 1034 square feet. Top features include a gourmet kitchen, an expansive great room, and a covered entryway. Prices start at $229,990. The Briton - 1 story, 3 bedrooms, 3 baths, 1480 square feet. Top features include a gourmet kitchen, dining room, great room, and a covered entryway. Prices start at $264,990. The Cameron - 2 story, 2 bedrooms, 2.5 baths, 1662 square feet. Top features include a gourmet kitchen, family room, great room, and balcony. Prices start at $248,990. The Devon - 2 story, 3 bedrooms, 3 baths, 1670 square feet. Top features include a gourmet kitchen and spacious great room. Prices start at $252,990. The Felton - 2 story, 3 bedrooms, 3.5 baths, 1745 square feet. Top features include a gourmet kitchen, and an expansive great room with a spacious balcony, and a loft. Prices start at $257,990.